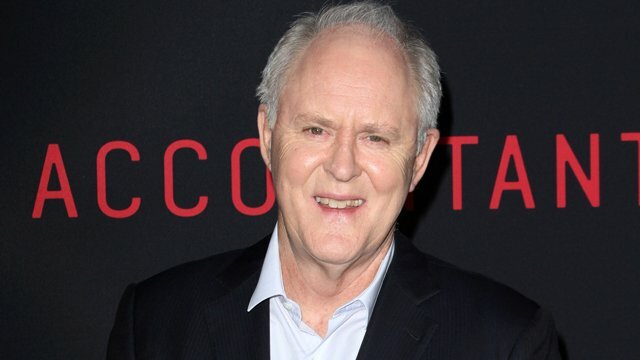 John Lithgow is the latest addition to the Pitch Perfect 3 cast! The Pitch Perfect 3 cast has a new addition today as Variety reports that two-time Academy Award nominee John Lithgow has signed on for the musical comedy franchise sequel. He joins Anna Kendrick, Rebel Wilson, Ester Dean, Kelley Jakle, Hana Mae Lee, Chrissie Fit, Brittany Snow, Anna Camp, Shelley Regner, and Hailee Steinfeld. Ruby Rose is also expected to have a role in the sequel. Kay Cannon, who scripted the first two franchise entries, wrote the script for the third film. An Emmy-nominated writer and actress with a heavy improv background, Cannon is also known for her work on NBC‘s 30 Rock and FOX‘s New Girl. Music video director Trish Sie is making her feature film debut with the December 22, 2017 release. Producing Pitch Perfect 3 are series fixtures Elizabeth Banks, Paul Brooks of Gold Circle Entertainment and Max Handelman of Brownstone Productions. John Lithgow was seen on the big screen last year in both Gavin O’Conner’s The Accountant and John Madden’s Miss Sloane. He also played Winston Churchill on Netflix‘s Queen Elizabeth II series, The Crown. Lithgow is no stranger to musicals, either, having performed extensively on Broadway. He took home a Tony Award for his performance as J.J. Hunsecker in the 2002 musical version of Alexander Mackendrick’s 1957 film noir classic Sweet Smell of Success and was nominated again for his work a few years later in Dirty Rotten Scoundrels. There’s no word quite yet on who he’ll be playing in Pitch Perfect 3, but check back for updates as they become available. RELATED: Pitch Perfect 3 Filming Begins! What do you think of the addition of John Lithgow to the Pitch Perfect 3 cast? Let us know your thoughts in the comments below!